Mayor candidate Jesus "Chuy" Garcia spoke at the City Club of Chicago on Tuesday. 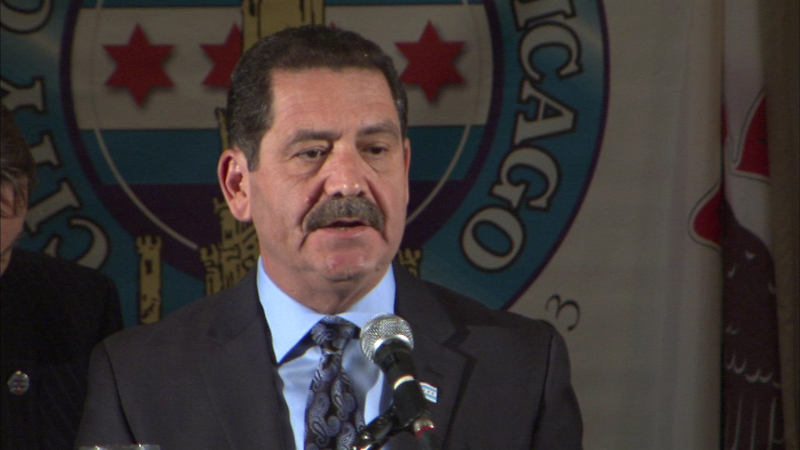 CHICAGO (WLS) -- With Election Day a little over a month away, Jesus "Chuy" Garcia is making a push to add more community policing in Chicago. The mayoral candidate spoke at the City Club of Chicago Tuesday. "True community policing remains a proven and effective way to both solve crimes and actually to prevent them," Garcia said. "It constitutes a genuine partnership with a neighborhood based on trust built over time. It takes training and commitment." Garcia mentioned community policing programs in other cities and says a program in Chicago could be equally as successful.